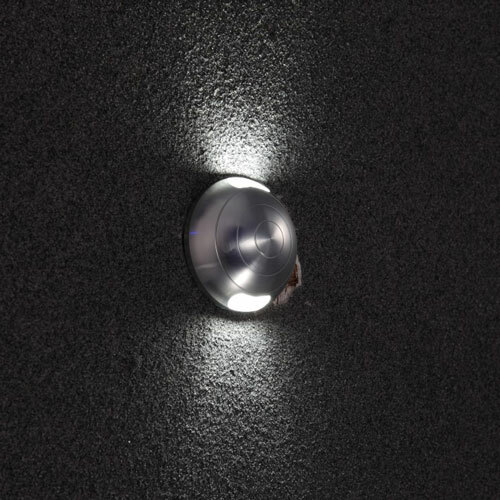 If you are looking for a LED outdoor up and down light to provide lighting for your deck, patio, front or back door or anywhere else then the LWA288 6 watt led white up and down outdoor light may be an excellent option. This white garden wall light features 2 x 3 high quality CREE LEDs (for a total of 6 watts) with 600 lumens of light. 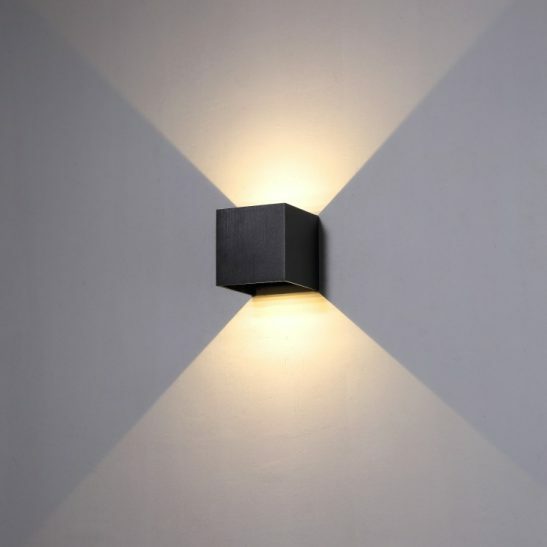 Made of high quality aluminium with a nice white finish This square LED outdoor up and down light has a 90 degree angle beam that shines both upward and downward from the wall. 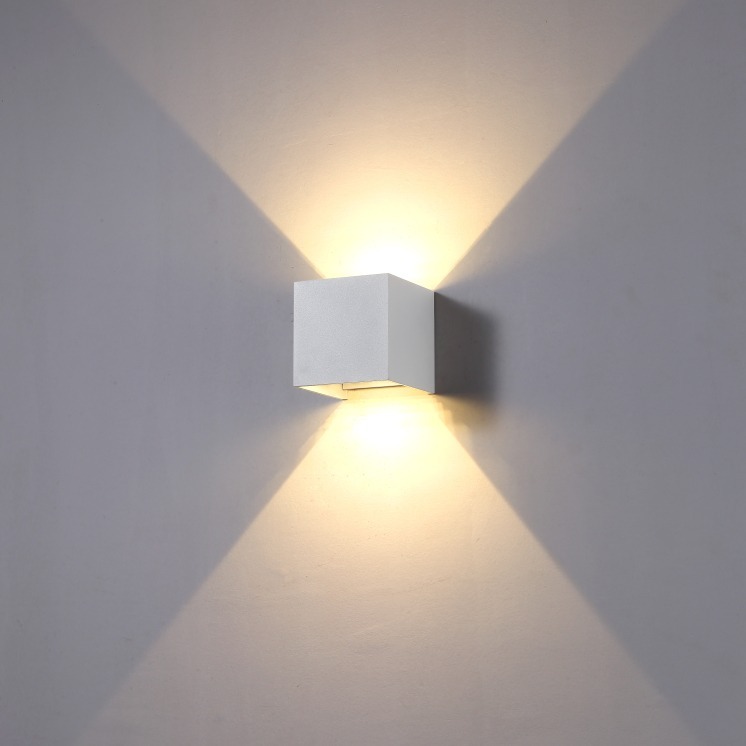 This wall light measures 100mm high, 100mm wide and projects outward from the wall 100mm. 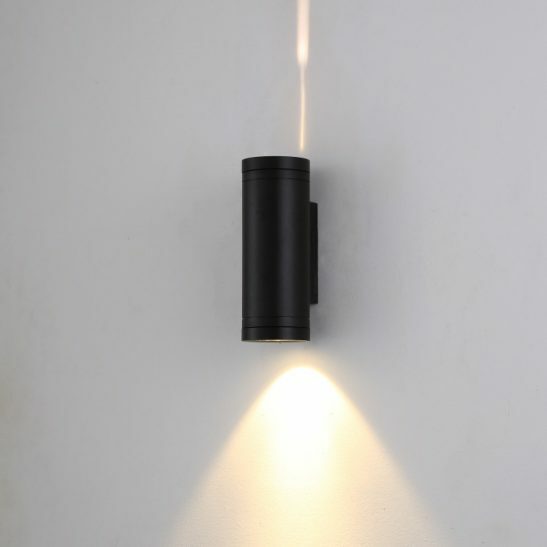 The LED driver fits inside of the body case of this light and it needs to be connected to your 240 volt supply main. 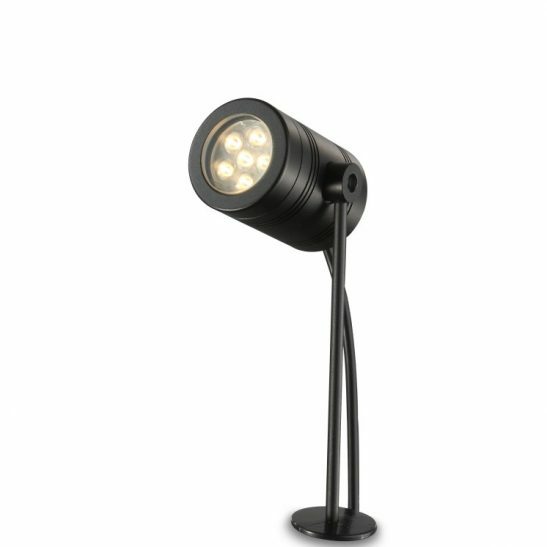 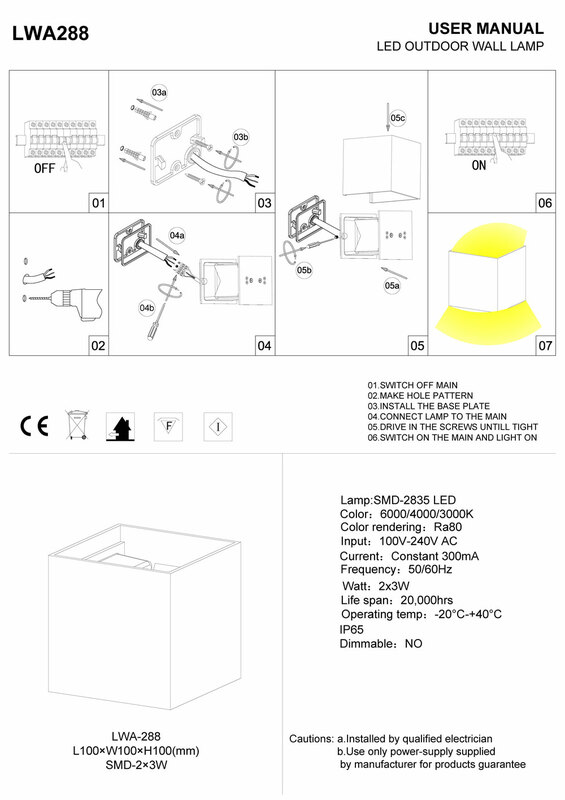 The light is also rated IP65 making it perfect for a wide variety of outdoor uses. 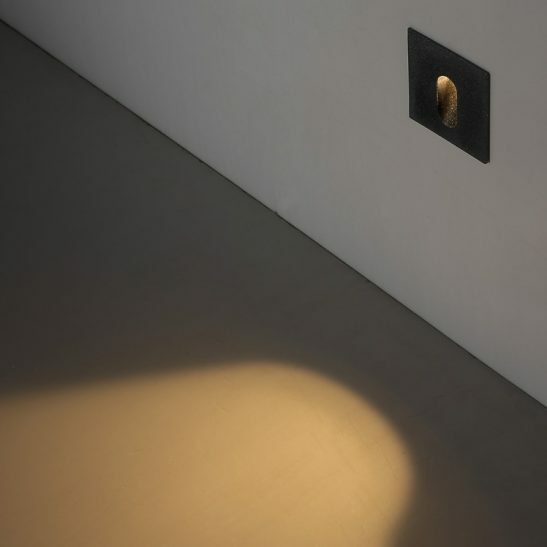 This LED outdoor up and down light is made using the very latest in LED technology and this light is specifically designed to provide you with a minimum of 50,000 hours of light. 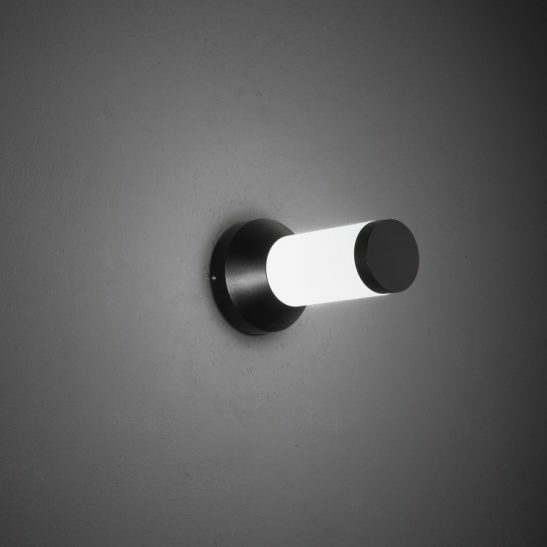 This light is practically maintenance free since you will never have to change another light bulb. 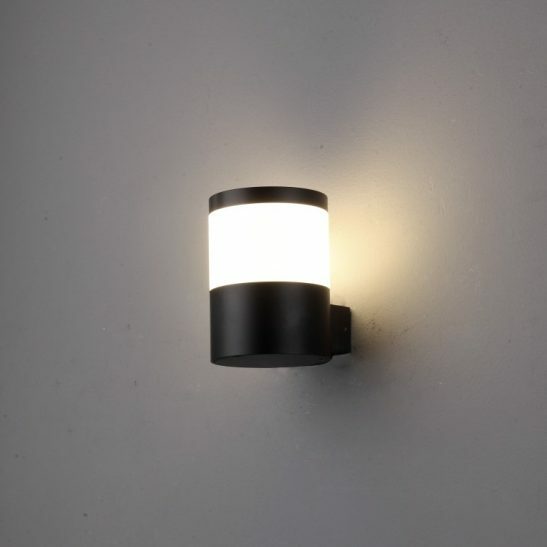 In addition, this LED outdoor up and down light is extremely energy efficient since it wastes very little energy and costs less to operate than more traditional lighting options. 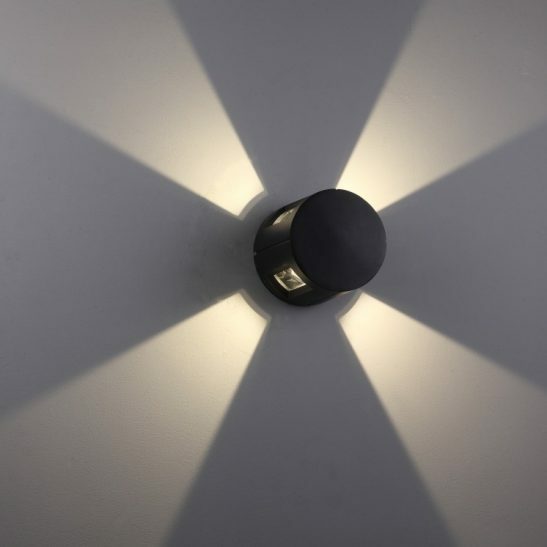 This light is also 100% recyclable and comes with a 3 year guarantee.